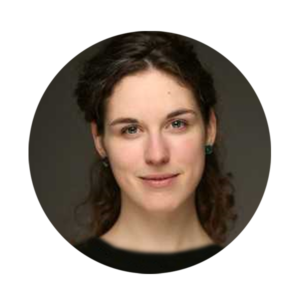 Dr Manuela Pisch studied psychology in Strasbourg, Heidelberg, and Cambridge, finishing her PhD in 2015. Currently, she is a post-doc at the Institute of Childhood and Great Ormond Street Hospital in London where she is involved in an epidemiological study looking at neuro-psychological outcomes of infants with early-onset epilepsy. The link between learning and memory is bi-directional. Not only do we need to sleep in order to consolidate previously learned information, but also, we need to sleep to perform better and prepare our brains for subsequent learning. Especially infants, who learn an astounding amount of new information every day and require high-quality sleep. In our study, performed by researchers at the Birkbeck Babylab in London, we showed that infants who woke less during the night at an early age, performed better at a working memory task over time. In detail, we wanted to understand how the quality and quantity of sleep experienced early in life might be a marker for trajectories in working memory performance over the first year of life. Working memory is an important component of learning and executive functioning as it requires maintaining and manipulating information for a short period of time. Most studies on sleep and learning in infancy only take a snapshot by looking at data collected at one point in time. This, however, might be misleading, as some associations might only show over time. Also, aspects of sleep and learning might not show a linear trajectory and therefore associations found at one particular age could differ from the ones found at other ages. We measured infant sleep variables as well as performance of working memory at 4, 6, 8, and 10 months in a group of 40 infants. Our aim was to group infants depending on their trajectories in working memory and compare the sleep variables of those groups. Working memory was measured using an eyetracking task, where infants had to link two specific sounds with two moving toys for several trials. After that familiarisation period, infants only heard the sounds one after the other. The eyetracking data revealed whether infants were then searching for the corresponding toy at the correct location. Interestingly, we found that one group of infants searched at the correct location at 4 months, but stopped to do so later-on, even though they spent a long time searching for the toy on the whole screen. Probably they had realised that the toy did not appear at the expected locations and hence expected it to appear elsewhere. The other group only started to search at the correct location at 8 months. Sleep variables were measures using actigraphy. An actigraph is a watch, similar to a Fitbit, that infants wore around their ankles during the nights. This watch measured movement every 30 seconds and using an algorithm, translated the movement data into periods of sleep and periods of wakefulness. Parents also reported the amount of day sleep in a questionnaire. 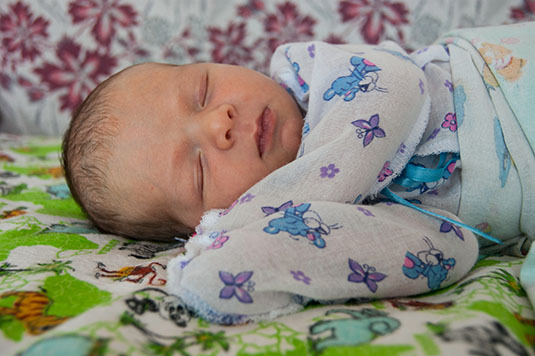 Former studies have shown that objective measures of infant night sleep, such as actigraphs, are more accurate than parental report. Possible explanations are that many infants don’t signal every time when they wake during the night. The infants in our study slept an average of 10 to 10.5 hours every night. Furthermore, the amount of time they spent in wakefulness decreased over developmental time, with 4-month-olds being awake for about 40 minutes with an average of 4 awakenings, while the 10-month-old infants were only awake for 25 minutes each night spread over an average of 2 awakenings. Daytime sleep also decreased from 4.6 hours to 2.6 hours. We then asked the question: Do the two groups with different trajectories in working memory performance also sleep differently? Or in other words, can sleep be a marker for different trajectories of working memory? We found that the groups of infants who performed better at an earlier age in the working memory task, also spent less time awake during the night, especially at a very young age. The difference of time spent awake between the two groups was greatest at 4 months suggesting that particularly sleep variables early in life are related to working memory trajectories. Night and day sleep duration was comparable between the two groups. This was a bit surprising as sleep duration was found to be related to learning in older children such as teenagers. One possible explanation is that the importance of sleep duration increases over developmental time. Furthermore, infants usually sleep according to their individual needs as opposed to teenagers who are often sleep deprived. Finally, the number of awakenings was also unrelated to the working memory trajectories suggesting that only infants who have difficulties settling back to sleep are more likely to be in the group who performed worse at an earlier age. In summary, this is – to our knowledge – the first study displaying that habitual night wake duration serves as a marker for trajectories in a working memory task in infants. Also, this study highlights the importance of longitudinal studies if we really want to understand associations of different determinants of development. A snapshot of just the 8-month-old infants of this study would have shown that more time spent awake during the night is associated with better working memory performance, as we would not have known that infants who apparently performed worse in the memory task had already taken a further step in searching the whole screen. Dr Manuela Pisch finished her Marie-Curie funded PhD on the association between infant sleep and cognitive development at the Centre for Brain and Cognitive Development in London.